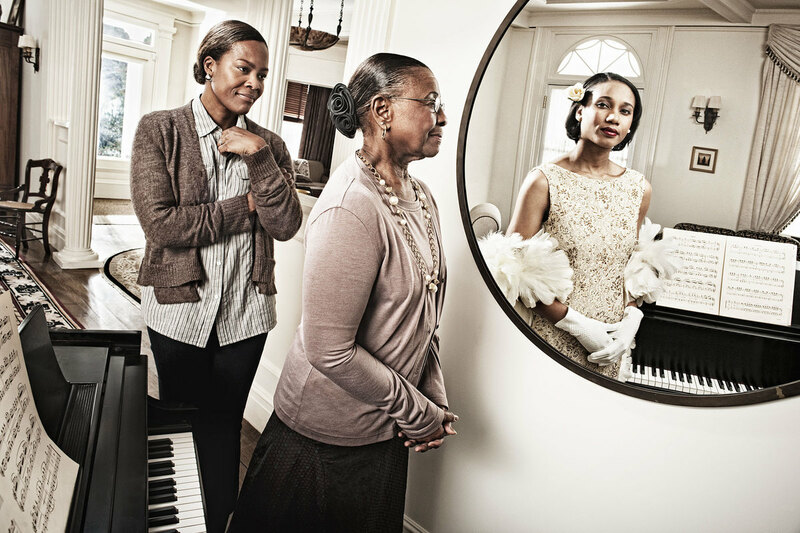 Tom Hussey, a Dallas photographer, created his work entitled ‘Mirrors’. This collection of photographs are to show the passage of time, life, and how a person views themselves and they achieve it. This collection reminds me of the saying ‘..a 20-year old stuck in an 80-year old’s body’ or of Grandpa Jo from Willy Wonka and the Chocolate Factory. The images captured by Hussey that show nurses, teachers, and firemen as they are now and their reflections show how they feel on the inside. Hussey’s inspiration came from a conversation that he had with a WWII veteran who couldn’t explain how the time had gone by so fast and that he didn’t feel as old as he was. This is a very interesting project as Hussey had to find people who looked like his subjects only 40-50 years younger to pose as the person from the past. I love this idea of manipulating the images to combine two completely different story timelines into one complete image that tells it’s own story.